Styled with westley short and nero bodysuit . 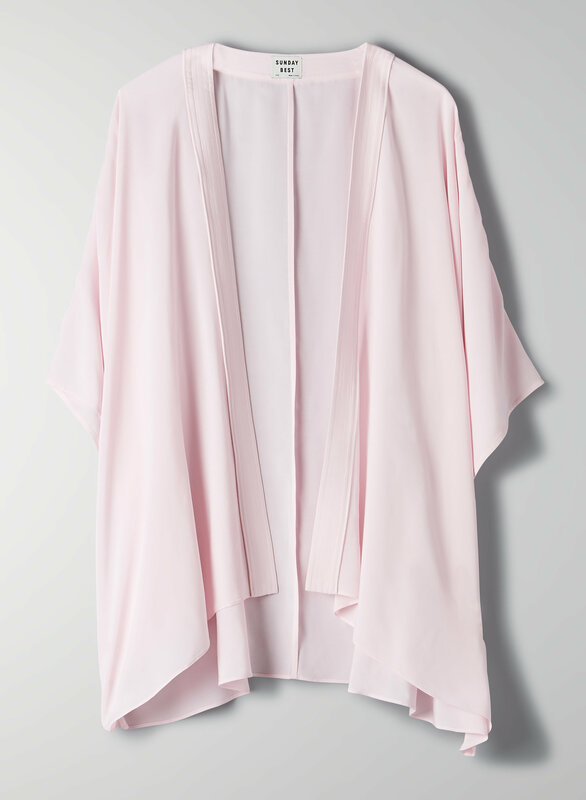 This is a short kimono with slit sleeves and a hem that hangs slightly longer at the back. It's made with a lightweight fabric that drapes nicely.